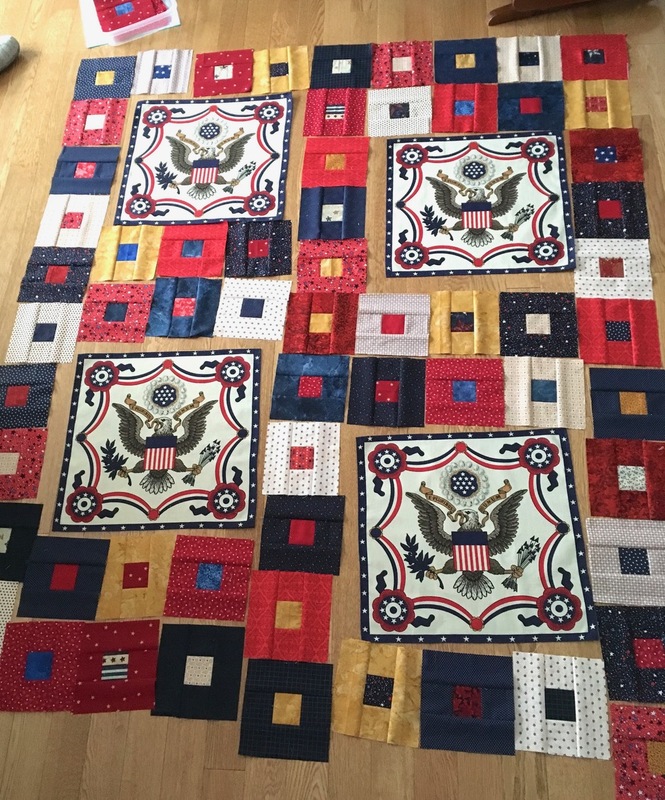 You might remember that I made a set of simple blocks for a Quilt of Valor. 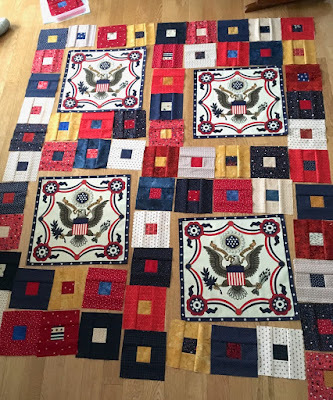 "Plan A" was to use the eagle napkins, purchased in a silent auction, and the simple blocks to create a Quilt of Valor with the Purple Daze pattern. When the units were placed on my design floor, both Marilyn and I thought it was too busy, so I used "Plan B." 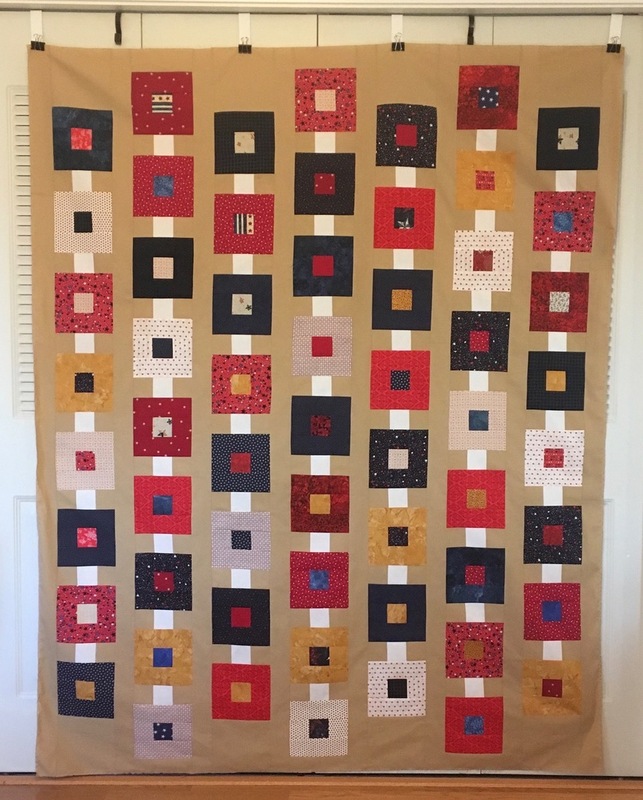 I like the clean design of the pattern (Fall in the City) and will use it again. Definitely agree - Plan A is way too busy. But Plan B looks awesome. I really like Fall in the City! I love plan B. It's beautiful and has a nice modern masculine look to it. Something just right will pop into your head for those napkins. I could see them as the centers of large star blocks. I agree. Plan B is much more beautiful. I love Plan B. I like seeing what you saw initially too. Very nice! Good work! I really like them both. But I understand what you mean. Plan A is pretty busy. Plan B looks very masculine to me. I know the exact quote will pop in your head the right time for those napkins. 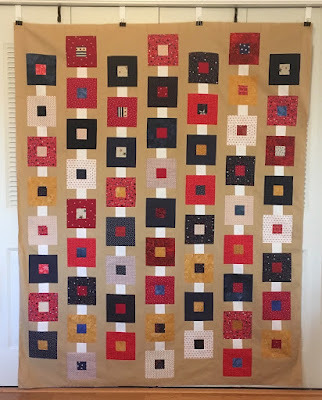 Hey, I was given those center blocks and I turned them into medallion quilts last year! I like Plan B better, too! Oh you are definitely right the plan b is better.